The foundation of your home is important because it is responsible for holding your house up and keeping it level. In order to avoid the need for serious foundation repair , you should keep an eye out for warning signs that might indicate that you have foundation problems. Should you spot any of the following signs, you should call a company that specializes in foundation repair serving San Antonio to come and inspect your foundation for you. Does it feel like the floors of your home are sloping? If so, this could indicate a very serious problem. When your foundation shifts, it will create uneven floors in your home, so if you feel like you are walking uphill or downhill when you walk on your floors or, worse, if your floors have separated from your walls, it’s time to call a foundation repair company to come out and help you. Over time, your home is going to settle, and it will likely cause some cracking to take place in your interior walls. If you have brick on the outside of your home, you may notice cracks in those walls as well. If the cracking continues and gets worse as the years go on, you probably have a foundation issue. 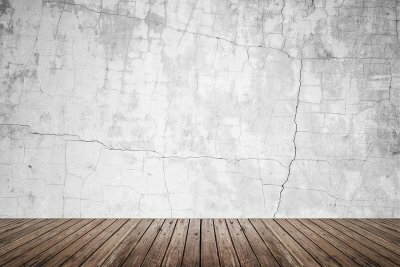 You will need to have general contractors come to take a look at your walls to determine whether or not your foundation is causing problems for you. If you have doors in your home that don’t shut all the way or your windows always feel like they are stuck, it could be a sign of a foundation problem. There can be other issues, like the weather, that can cause issues with your doors and windows. However, doors and windows can also become problematic for those who are suffering with foundation issues. You will want to have a foundation inspection done as soon as possible so that the problem doesn’t get even worse than it already is.